Additionally, Romona Riscoe Benson, PECO was approved for a second term as director. Profiles of our newly-elected directors are below. Bill Golderer serves as President and CEO of United Way of Greater Philadelphia and Southern New Jersey (UWGPSNJ), where he oversees the organization’s work to fight poverty by investing in youth success and family economic stability. Bill leads UWGPSNJ’s mission to harness, leverage and strategically invest the collective power of more than 100,000 donors, advocates and volunteers, to end intergenerational poverty in our region. Through the Impact Fund, UWGPSNJ develops successful youth and stable, self-sufficient families by investing in the areas of early learning, career pathways and pipelines, and economic self-sufficiency, while also ensuring access to the community stability supports that individuals and families need to stay healthy and meet their most basic needs. Bill serves as senior pastor at Arch Street Presbyterian Church. Prior to joining UWGPSNJ, he was the founder of Broad Street Ministry, which enables cross-sector collaboration to lift people out of homelessness, and has become known for the inclusive service it extends to community members in need. 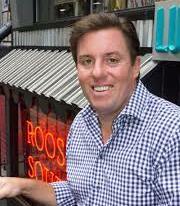 As a result of his work at Broad Street Ministry, Bill also had the opportunity to co-found Rooster Soup Company, the nation’s first for-profit, crowd-funded social impact restaurant that creates jobs and returns revenue to Philadelphia’s most impoverished citizens. Bill is a graduate of Southern Methodist University (B.A.) and Yale University Divinity School (M. Div. ), and he is an Ordained Minister in the Presbyterian Church, PC (USA). He has authored a number of articles and op-eds, contributed to several books, and has been a commentator for Huffington Post, CNN, and The History Channel. Bill continues to lecture and teach coursework at institutions including Princeton Theological Seminary, the Wharton School of Business at the University of Pennsylvania and is a Senior Fellow at Fels School of Government at UPenn. He serves on several governing and advisory boards of arts, social service, and social innovation organizations in the Philadelphia area. In 2010, he was named as one of Philadelphia’s 101 Emerging Connectors by Leadership Philadelphia and in 2017 Philadelphia Magazine recognized him as one of the 100 Most Influential Philadelphians. Kristin Romens directs the Pew Fund for Health and Human Services in Philadelphia, overseeing Pew’s grantmaking and support for Philadelphia-area nonprofits that serve some of the region’s most at-risk populations: vulnerable adults; disadvantaged children, youth, and families; and the frail elderly. Romens began her career as a human rights attorney. Before joining Pew, she was president of The Learning Agenda, a consulting firm that helps philanthropies, nonprofits, and educators across the country expand opportunities for youth in under-resourced communities. 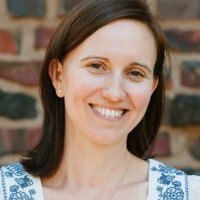 She has also served as vice president of research, innovation, and growth for Big Brothers Big Sisters of America, and as a consultant with the Bridgespan Group, where she developed sustainability and growth plans, performance management frameworks, and replication strategies for nonprofits. Romens holds a bachelor’s degree in social science from Biola University and a Juris Doctor from Harvard Law School. 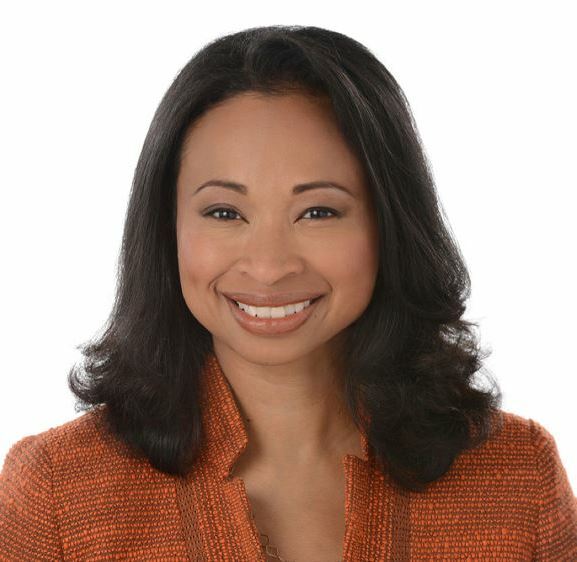 Dalila Wilson-Scott serves as Senior Vice President of Community Impact for Comcast Corporation and as President of the Comcast NBCUniversal Foundation. In this role, Dalila works collaboratively across Comcast to provide strategic leadership throughout all aspects of the company’s community impact and corporate social responsibility initiatives. In addition, Dalila oversees efforts to leverage various assets, resources and platforms throughout the company to extend the reach and impact of philanthropic partnerships. In 2017, Comcast NBCUniversal provided nearly $470 million in cash and in-kind support to nonprofit partners sharing Comcast’s commitment to improving communities and enriching lives. Comcast proactively seeks out ways to leverage the reach of its media and technology platforms to strengthen communities in meaningful ways. Dalila joined Comcast in 2016 after more than 16 years at JPMorgan Chase & Co., where she most recently served as Head of Global Philanthropy and President of the JPMorgan Chase Foundation. She led the firm’s philanthropic initiatives, including employee engagement and volunteerism, while helping to set the company’s overall corporate responsibility strategy. Prior to joining the Office of Corporate Responsibility, she served in the firm’s Corporate Merger Office as an integral member of the team managing the integration of JPMorgan Chase and Bank One. In addition to serving on the boards of Welcome America, Inc. and Box.org, Dalila is a member of the Executive Leadership Council. She previously served as a member of the Committee for Economic Development, and the Advisory Council of My Brother’s Keeper Alliance. Dalila has been named one of the “Most Powerful Women in Cable” by Cablefax Magazine, one of the “Most Powerful Women in Business” by Black Enterprise, and an “Innovative Rising Star: Building Communities” by Forbes magazine. Dalila has been a featured speaker at several forums highlighting impact and innovation in philanthropy, including at the Aspen Ideas Festival, Social Innovation Summit, USC Center on Philanthropy and Public Policy and the Women’s Philanthropy Institute’s Annual Symposium. She earned an MBA in Finance and Management from New York University’s Leonard N. Stern School of Business and a B.A. in Economics from New York University’s College of Arts and Science.